This week on The Good The Bad The Ugly Film Show Adam, Dave and Nick take a look at new release films ‘Lights Out,’ ‘Star Trek: Beyond,’ ‘Hitchcock/Truffaut,’ and ‘Love & Friendship’. 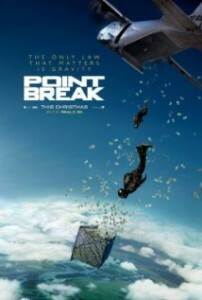 This episode also contains interviews with Maria Bello, Teresa Palmer, Chris Pine, Simon Pegg and Xavier Samuel. Watch out for a special Part 3 of this week’s episode which will go online on Saturday at 4pm due to an embargo on any reviews for Batman: The Killing Joke. This week on The Good The Bad The Ugly Film Show Dave, Greg and Nick take a look at new release films ‘45 Years,’ ‘Trumbo,’ ‘Concussion,’ ‘How To Be Single,’ ‘Risen’ and ‘Ride Along 2’. This episode also contains interviews with Tom Courtenay, Charlotte Rampling, Helen Mirren, Jay Roach, Will Smith, Dr. Bennett Omalu, Dakota Johnson, Rebel Wilson, Leslie Mann, Alison Brie, Joseph Fiennes, Kevin Hart, Ice Cube, Olivia Munn, Sarah Jayne (Made In Melbourne Film Festival), Tim Parrish (Transitions Film Festival), Michael Gosden (Watch The Sunset), Tristan Barr (Watch The Sunset) and Terri Nunn (Star Wars/Top Gun). 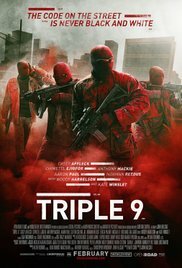 Also listen for your chance to win tickets to a special premiere screening of Triple 9 thanks to our good friends at Roadshow. Listen for the question that Dave G asks and then private message us the answer on either our Facebook or Twitter pages. Triple 9 will be released on March 3 and stars Aaron Paul, Kate Winslet, Norman Reedus, Casey Affleck, Woody Harrelson, Chiwetel Ejifor, Gal Gadot, Teresa Palmer and Anthony Mackie. Thanks to our friends at Roadshow we can now officially launch our Triple 9 giveaway. Are you dying to see the new crime thriller directed by John Hillcoat and starring a cast including Aaron Paul, Kate Winslet, Norman Reedus, Casey Affleck, Woody Harrelson, Chiwetel Ejifor, Gal Gadot, Teresa Palmer and Anthony Mackie? Then take a listen to this week’s episode of The Good The Bad The Ugly Film Show and simply answer the question asked in a private message on either our Facebook or Twitter pages. Please make sure though that you can attend our exclusive screening of Triple 9 on the 1st March @ 6.30pm in Melbourne before entering. 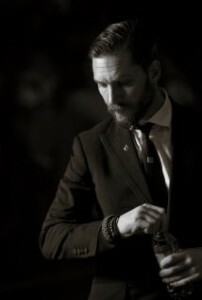 Triple 9 will be released on the 3rd March. This week on The Good The Bad The Ugly Film Show Adam, Dave, Greg and Nick take a look at new release films ‘Crushed,’ ‘Zoolander 2,’ ‘Brooklyn,’ ‘Deadpool’ and ‘Scare Campaign’. This episode also contains interviews with Ben Stiller, Owen Wilson, Saorise Ronin, Domnhall Gleeson, Ryan Reynolds, Morena Baccarin, Ian Medows, Josh Quong Tart, Colin Cairnes, Cameron Cairnes, Megan Riakos,Chris Earl (Scots Day Out) and Martin Lych (The Commitments Screening). This week on The Good The Bad The Ugly Film Show Adam, Dave and Greg take a look at new release films ‘Anomolisa,’ ‘Steve Jobs,’ and ‘The Choice’. This episode also contains interviews with David Thewlis, Jennifer Jason Leigh, Michael Fassbender, Kate Winslet, Benjamin Walker, Teresa Palmer, Nicholas Sparks, Tom Welling, and Steve Bastoni (Peninsula Short Film Festival). Also listen for your chance to win a copy of Sinister 2 on DVD thanks to our good friends from eOne Entertainment. Listen for the question that Dave G asks and then private message us the answer on either our Facebook or Twitter pages. 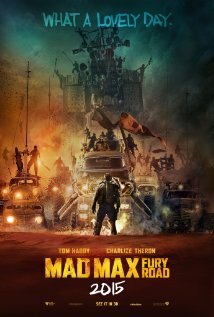 Entertainment One Australia is proud to have three Australian films screening at this year’s Toronto International Film Festival (TIFF). Rolf de Heer’s deeply affecting portrait of contemporary Aboriginal Australia CHARLIE’S COUNTRY, Kriv Stender’s darkly comedic thriller KILL ME THREE TIMES – which will also have its World Premiere at the festival – and Tony Ayres’ crime drama CUT SNAKE. 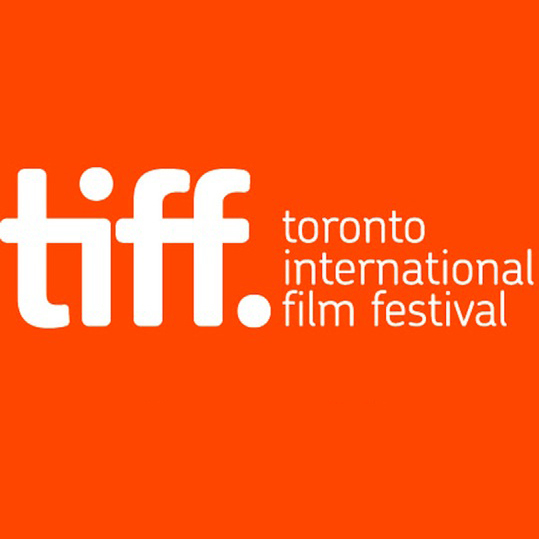 All three films will screen in TIFF’s Contemporary World Cinema section, which showcases films with compelling stories from global perspectives. An Official Selection and awarded Best Actor in the Un Certain Regard section at the prestigious Cannes Film Festival this year, CHARLIE’S COUNTRY pairs renowned director Rolf de Heer with screen legend David Gulpilil for their third film collaboration following the multi-award winning Ten Canoes and their first feature The Tracker. CHARLIE’S COUNTRY tells the story of blackfella Charlie (Gulpilil), who is getting older and is out of sorts. Frustrated with the failures of the government intervention and the ‘whitefella’ laws enforced in his remote community, Charlie takes off to live the old way. But in doing so he sets off a chain of events in his life that has him return to his community chastened, and somewhat the wiser. In KILL ME THREE TIMES, Simon Pegg plays the mercurial assassin, Charlie Wolfe, who discovers he isn’t the only person trying to kill the siren of a sun drenched surfing town. Charlie quickly finds himself at the centre of three tales of murder, mayhem, blackmail and revenge. KILL ME THREE TIMES was produced by Western Australian producer Tania Chambers, Laurence Malkin and Share Stallings (Death at a Funeral, A Few Best Men). Shot in stunning locations throughout Western Australia, KILL ME THREE TIMES stars Simon Pegg (Shaun of the Dead, Hot Fuzz, The World’s End), Sullivan Stapleton (300: Rise of an Empire, Animal Kingdom, Strike Back), Alice Braga (I Am Legend, Elysium, City of God), Teresa Palmer (Warm Bodies, Wish You Were Here), Callan Mulvey (Zero Dark Thirty, Captain America: The Winter Soldier, The Turning, Batman v Superman: Dawn of Justice), Luke Hemsworth (The Reckoning) and Bryan Brown (F/X, Cocktail). CUT SNAKE is a powerful crime drama set in mid-70s suburban Australia from Matchbox Pictures’ Tony Ayres (The Home Song Stories). The story centres around Sparra Farrell (Alex Russell, Carrie), a young man trying to escape his past and make a life for himself in a new city. He finds honest work and becomes engaged to the beautiful Paula (Jessica De Gouw, These Final Hours). But when the charismatic and dangerous Pommie (Sullivan Stapleton) tracks him down, Sparra finds himself drawn back into a world that he had tried to leave behind. 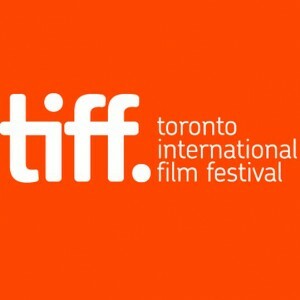 Of CHARLIE’S COUNTRY, KILL ME THREE TIMES and CUT SNAKE screening at TIFF, Troy Lum, Managing Director of Entertainment One Australia, says, “We are very proud to have three incredible Australian films screening at Toronto. It’s a credit to the calibre of filmmaking talent we have in this country, these films come from some of our best. They all deserve to be seen on the world stage and it’s immensely satisfying and exciting for everyone involved”. In addition to CHARLIE’S COUNTRY, KILL ME THREE TIMES and CUT SNAKE, Entertainment One Australia has a host of international films that will screen at TIFF this year including: MY OLD LADY; THE GOOD LIE; MAPS TO THE STARS; and BLACK AND WHITE. MY OLD LADY, THE GOOD LIE and BLACK AND WHITE will all have their World Premieres at the festival. CHARLIE’S COUNTRY is currently screening in cinemas across Australia. KILL ME THREE TIMES and CUT SNAKE will be released in early 2015.